Aloha! 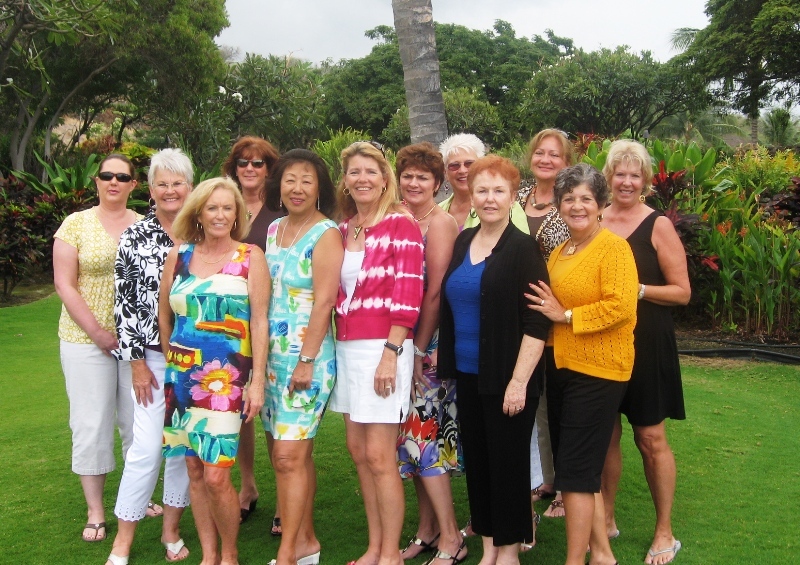 The Kona Babes (14 of us at last count) live either full or part time in West Hawaii and are from various walks of life, who try to meet every Wednesday for lunch at one of our island’s many eateries to revel in the camaraderie of our sisterhood. We discuss in great detail (with all the savvy knowledge of women who have lived as we all have) important, customary subjects – along with topics not so orthodox! (keeps it spicy, afterall). The Kona Babes have even been referred to as “social and philanthropic” on the Wheel of Fortune; pleasing us greatly, as you can imagine, for such a flattering acknowledgement! As a reader of our Big Island entertainment and dining out reviews, you should get a realistic grasp on what’s Hot and what’s Not in Kona, thereby saving you tons of unwasted time and money trying to discover for yourselves where to go and what to do while visiting our island paradise. We promise to tell it like it is, along with photos, prices, and information not usually available in printed guides. Since you already know that we are “social”, wouldn’t you call our reviews a “philanthropic” service? I enjoy just “listening” at some of the lunches and I have learned so much from all of you. It’s fun, supportive, an opportunity to get out, breaking bread at so many different restaurants – and in that way, we are philanthropic. We support our local bistro’s! Isn’t it fun,after all, to have a reason to put on hot shoes and go out? We plan to introduce ourselves through writing and photos, and hope that you feel as if you are sitting amongst us at the table on Wednesdays enjoying the process! posts are very quick for starters. Could you please extend them a little from next time? have you solved it yet? I get mixed responses from people. we are using the hosting provided by wordpress.com! try GoDaddy – they are great too. Жаль, что сейчас не могу высказаться – вынужден уйти. programming but I was hoping to start my own blog soon. I stumbled across your website as I was looking up reservation info on Sam Choy’s restaurant – I finally talked a friend into going there for lunch. 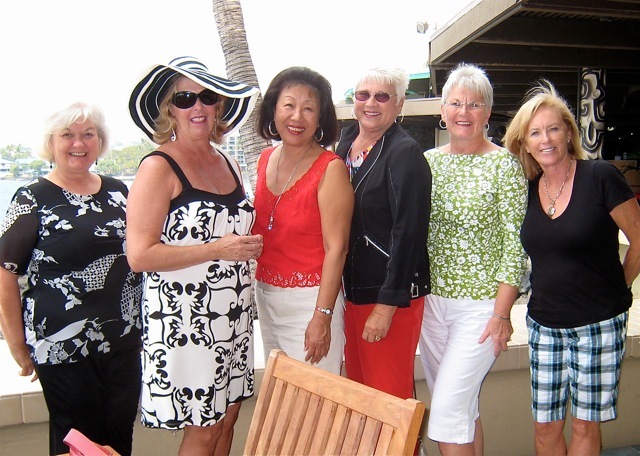 Looks like you gals have a lot of fun, and you’re helping others out with Kona info. You go girl! Sitting at home in front of my computer while grandbaby is taking her nap in the other room. The sun is out today and it’s been beautiful for almost two weeks now. Never again, will I take those beautiful sunny days in Kona for granted. I wanted to share with you all that I have accepted a position as Community Sales Manager for Alderbrook Properties in Union, WA. I am really excited about this new opportunity and I hope you all get a chance to discover this beautiful spot for yourself. It was rated as one of the 10 most beautiful places to visit in the entire country. Check it out at http://www.alderbrookproperties.com. We have golf, boating, biking, hiking, fishing, clam and oyster picking and all the fresh crab you can eat. I have found heaven!! I work 5 days a week, 11:00 a.m. to 4:00 p.m. and that’s the perfect balance for my life. I still have plenty of time for grandbaby and family yet I get to practice my passion. My job is to mingle, play golf, organize events and of course sell homes in the community. Is this right up my alley or what?? I invite you all to think about a Kona Babes gathering at Alderbrook one day. Lodging and golf will be on the house. If you have never visited Alderbrook Resort or Alderbrook golf and yacht club….you are in for a sweet treat! Hi Sue! I forwarded your note to those that haven’t seen it on our blogsite. Congratulations!! I can see you now enjoying a game of golf in that beautiful development – all in a day’s work!! 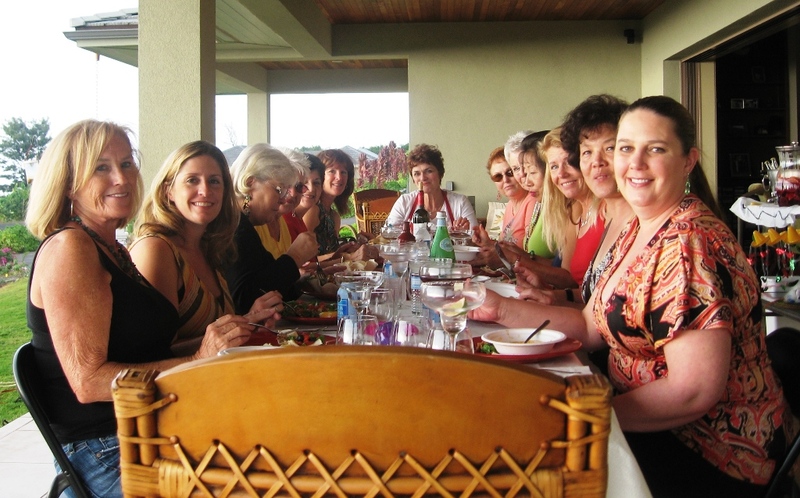 Pingback: 2010 in review « The Kona Babes "Ultimate Big Island"
Love your reviews. But I think it would also be worthwhile to place an emphasis on the reviews not just on how the restaurant draws in the locals, but how tourists also feel. With airfare, hotels, car rentals and all the non-local taxes that the Hawaiian governments tacks on to tourist, it is even more critical to have good food, good service, good pricing. Too many things are adding up to making it just not worthwhile to visit Hawaii. And Uncle Billy has contributed to many restaurants and shops in going out of business in Kona. Very sad. When we are in Kona we rarely want to go out any more, killing the Big Island as a favorite place to visit. Hey girlfriends! It’s so much fun to communicate with you all on this blog site. Almost as informative as one of our lunch sessions! I miss you all very much and cannot wait to see you again. Life in the Northwest is different, yet has it’s own beauty! I reconnected with an old high school friend and we decided to try a new hike each week. There are so many beautiful hiking trails around here. Last week we hiked to a place called Snoquera falls around Mount Rainier. Wow…..breathtaking! A warning to anyone trying this hike, there are many different trails and if you don’t pay close attention, you can end up on a 5 star trail. 5 star meaning the most difficult. We were busy talking and found ourselves looking at a portion of the trail that went straight up! I’m not kidding. My dogs were too afraid to go up! We turned around looking for an easier route. Once we realized we were on the wrong trail, we also realized we were lost. We kept trying different trails to find our way back and it seemed as thought we kept going in circles or backtracking back and forth. There were plenty of beautiful deer along the way and scenery was spectacular, however after walking for 7 hours, we were getting concerned. We ran out of water and the light lunch we packed was long gone. We wondered if we would make it out before nightfall. Somehow, we managed to make our way to the road and walked along the road until we found our cars. Whew….it was touch and go for a while there. On the way back home, we stopped in a little place called Greenwater. Their roadside bar was the first place available for something cold to drink. The dogs drank their fill of water and we had a nice cold beer. A beer never tasted so good!!! Then we decided to check out their menu not expecting anything more than burgers and were pleasantly surprised to find that they had a full kitchen and quite an extensive menu. We both ordered beautifu salads, a Chef and a Cobb and they were not only enormous, enought to feed 4 people each, they were also fresh and delicous. I would highly recommend this place to anyone in the area. We were impressed. After we finished eating and drinking, I was so tired I could have curled up and slept right there in my car. My poor dogs were exhaused too. They passed out in the back seat on the way home. What a exciting day! I am now suffering from sore muscles. Although I am not able to join you all for you weekly luncheons, I will try to keep you all informed on my weekly hikes. Maybe I can even add pictures. Jamsie you are so talented I love your write ups for our Restaurant Reviews and the great photos . Can’t wait to see the next one. So who are these gals? I hope you have a great time being Kona Babes and give us some really good info. This is wonderful. Will we use this for weekly announcements instead of emails? Hi Barbara – I think that Mei will probably still email – but it’s a thought! that way the Babes will have to check the site to see where to go for lunch. I believe that I can put a calendar on site, I’ll have to check if we can mark upcoming events on this site. thanks for the idea! Love your site!! Carolyn, what a great picture!! Look forward to using all the info one of these days!! Well done Jamsie, absolutely loved it !!! !